2 depth sounders, Echopilot FLS Gold is forward looking sonar. Seago 4 man valise liferaft. 3 x fire extinguishers, I automatic in engine bay. The Sabre 27 was built as an alternative to the popular Westerly Centaur and therefore has many of the valued features of boats of this pedigree. The design and solid build quality provide a seaworthy boat, of sufficient size for family and group sailing, whilst the easy to handle rig also makes the boat suitable for solo sailing. The accommodation includes a double forecabin, separate heads and galley areas. The cockpit has a feeling of security, the mast is stepped to a tabernacle and therefore easier to lower and raise and the foredeck has plenty of room for anchoring and handling sails. 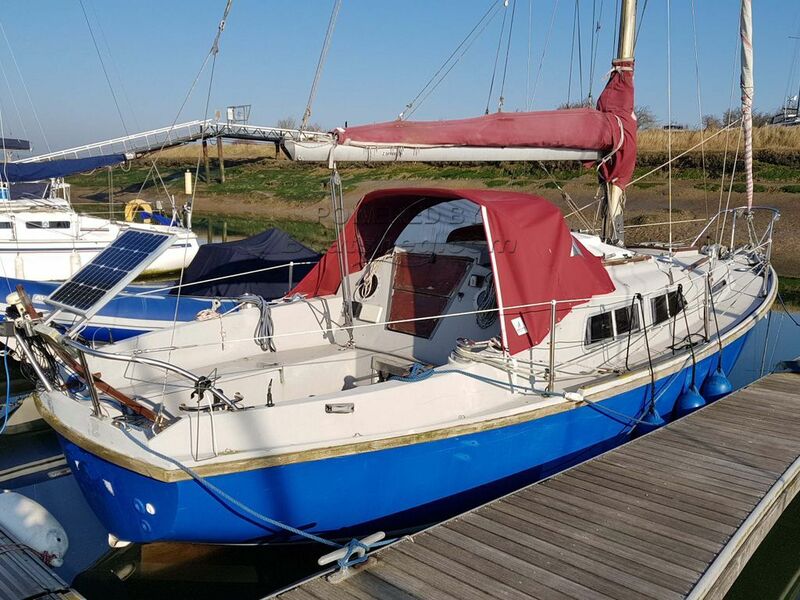 This Sabre 27 has been personally photographed and viewed by Chris Markham of Boatshed Essex. Click here for contact details.